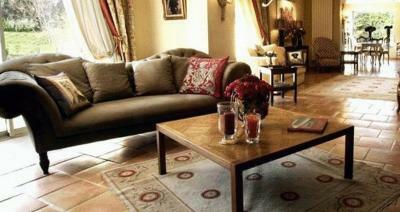 Lock in a great price for Domaine de Mejeans - Les Collectionneurs – rated 9.6 by recent guests! 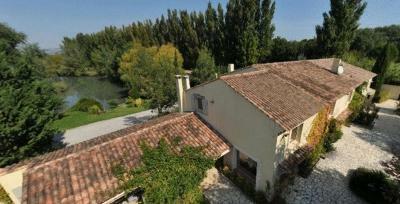 Great location if you are travelling in the South of France. Just off the motorway but very quiet. Family run and it definitely makes a difference. Greeted by Annie the owner on our arrival. Amazing food. This place was absolutely wonderful. We were looking for a serene quiet getaway with good food and this was all that and more. Beautiful quite domaine managed by great people. Annie is a charming lady that will be welcoming you, she made sure that we had a great time and is a woman of great taste! Jean Pierre her brother is a great chef and will cook you absolutely delicious dinners. Everything was perfect since we stepped in. Will definitely be back. 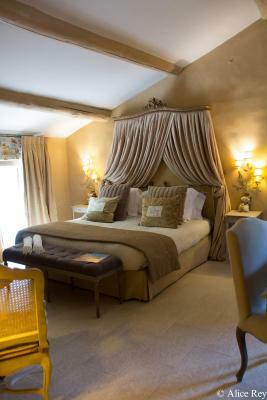 Probably the best hotel/domaine I have been to! Besitzerin extrem freundlich, ruhige Lage, Lokalitäten sehr sauber und gepflegt, Küche in Sterne-Qualität. Dieses kleine familiär geführte Gästehaus ist ein Schmuckstück! Es gibt nur sehr wenige Zimmer (und 2 sehr nette Bungalows), der Garten mit Pool ist wunderschön, die Zimmer sind ausgesprochen geschmackvoll eingerichtet. Das Frühstück wird liebevoll zubereitet und serviert. Auf Reservierung gibt es ein großartiges Menü zum Abendessen. Es herrscht dort die absolute Ruhe. Gleichzeitig sind viele klassische Provence-Ziele gut erreichbar. Délicieux dîner, pas besoin d’aller chercher plus loin! L’accueil chaleureux. 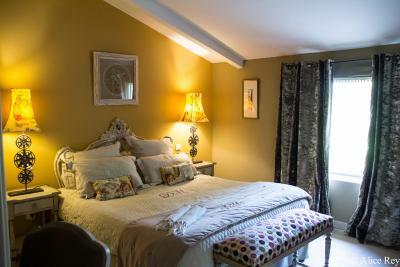 La chambre et biensur l’excellent dîner!!! Sans oublier un petit-déjeuner parfait!! Un séjour parfait, dans un domaine décoré et entretenu avec beaucoup de soin, loin de l'agitation touristique mais à proximité de tous les centres d'intérêt de la région. Merci aux hôtes pour la qualité du service et leur accueil chaleureux. A ne pas manquer : le dîner sur place cuisiné avec des produits frais. C'était délicieux. Nous reviendrons ! 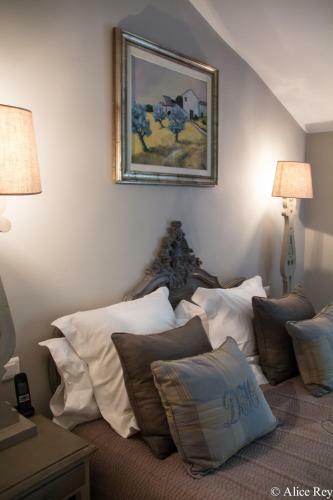 Set in the middle of an orchard, this bed and breakfast provides modern-comfort accommodations in a characteristic Provence-style house. It has an outdoor pool and spacious air-conditioned guest rooms. 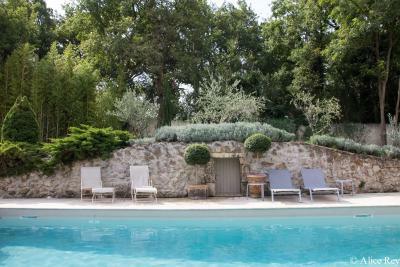 The Domaine de Mejeans is located in the Provence-Alpes-Côte d’Azur region, between the Alpilles mountains and the Luberon Massif. All of the rooms and suites are individually decorated and soundproofed. 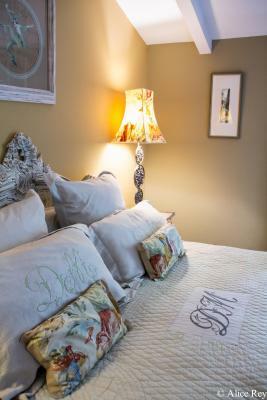 They are equipped with flat-screen TV, free Wi-Fi access and private bathrooms with bathtub. 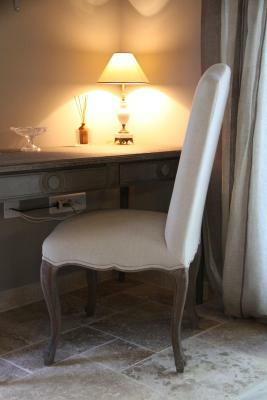 The Domaine also provides bathrobes and slippers in each of them. A continental breakfast is served daily and can be enjoyed on the terrace, in the large dining-room or in the comfort of your room. Evening meals are available on request. 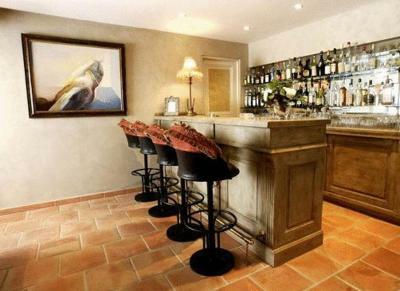 A bar is also at your disposal, with soft drinks and a selection of local wines. 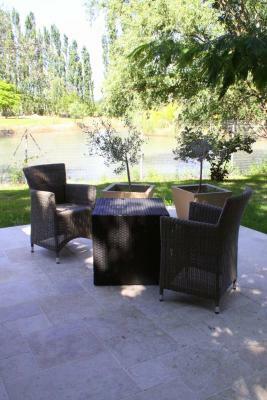 You can relax by the pool, in the garden or in the common areas. The area is ideal for hiking and cycling. 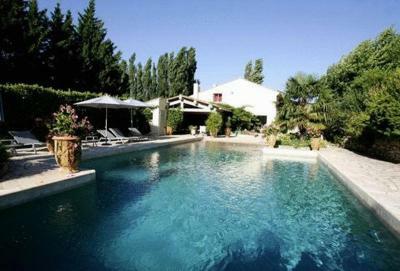 Avignon is just 25 mi away and Aix-en- Provence is 22 mi from the Domaine de Mejeans. Free private parking is available on site. 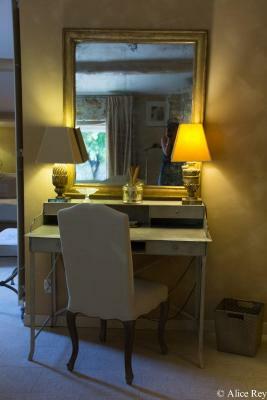 When would you like to stay at Domaine de Mejeans - Les Collectionneurs? These quiet rooms overlook the garden. The private bathroom has a shower, bath and toilet. 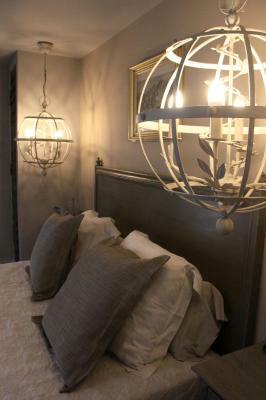 This room is decorated in gray and blue shades. 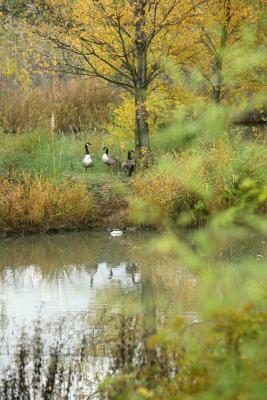 It has a panoramic view of the property's pond. The private bathroom has a shower, bath and toilet. 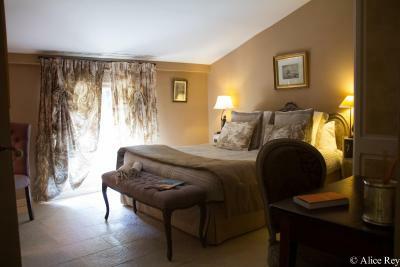 Located on the upper floor, the suite is decorated in brown shades. It features a TV and DVD player and overlooks the garden and the pool. The private bathroom has a walk-in shower, bath and toilet. 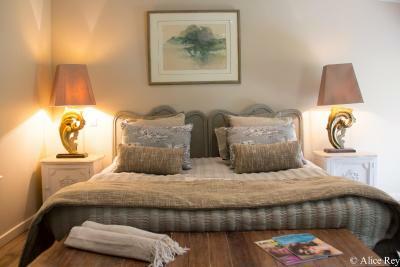 This suite measures 45m2 and is decorated in warm tones. 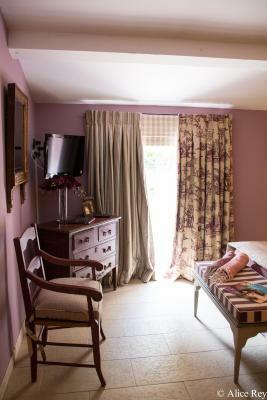 This room with a double bed features bay windows that open out onto the terrace opposite the lake. The private bathroom comes with a shower and a separate toilet. 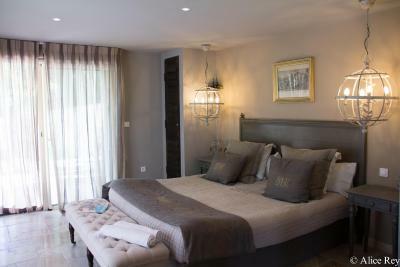 This luxury suite measures 50m2, is decorated in soft tones and includes a private terrace the overlooks the lake. 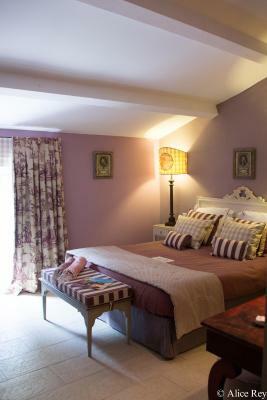 The bedroom comes with a large double bed and a sofa bed. 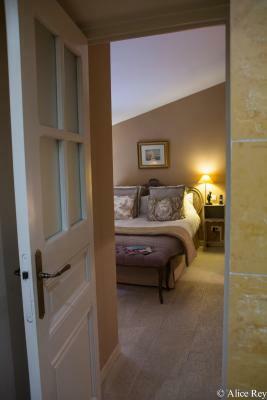 The private bathroom has a large bath, a walk in shower and a separate toilet. 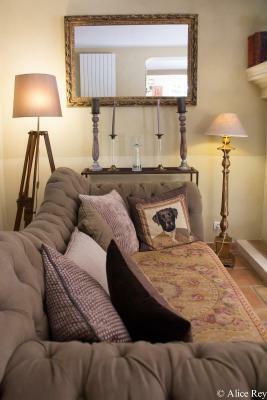 House Rules Domaine de Mejeans - Les Collectionneurs takes special requests – add in the next step! 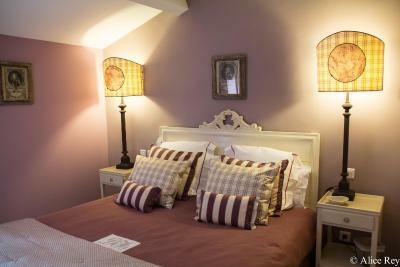 All older children or adults are charged EUR 40 per night when using existing beds. Domaine de Mejeans - Les Collectionneurs accepts these cards and reserves the right to temporarily hold an amount prior to arrival.